Super-agent Ethan Hunt dangles from skyscrapers and otherwise takes daring to new heights on another operation from the Impossible Missions Force. Helping Hunt get the job done is droll fellow IMF agent Luther Stickel. Tom Cruises return to fame. The new MI film is full of amazing action scenes and impossible scenarios. The movie itself is quite fun to watch. Sure it really doesn’t tie in to any of the other ones story wise but then again if your watching these for the story then something is wrong. Cruise does a great job with his role and oddly enough he fits the action scenes perfectly and has a nice sense of humor in the movie. That being said the scenes are all over the top and always keep you at the end of your seat. His supporting cast including Jeremy Reiner and Simon Pegg add a nice touch to this also and add some nice scenes and backstory.I also just have to point this out but during the end scene where Cruise is laying at the bottom of parking garage talking , he should be all cut up and messed up like he was in the previous scene yet he looks clean. That kinda bugged me for some odd reason. Also I don’t think this movie deserves the perfect score I’ve seen film critics give it. Yes it is really good but not a perfect movie by any means. 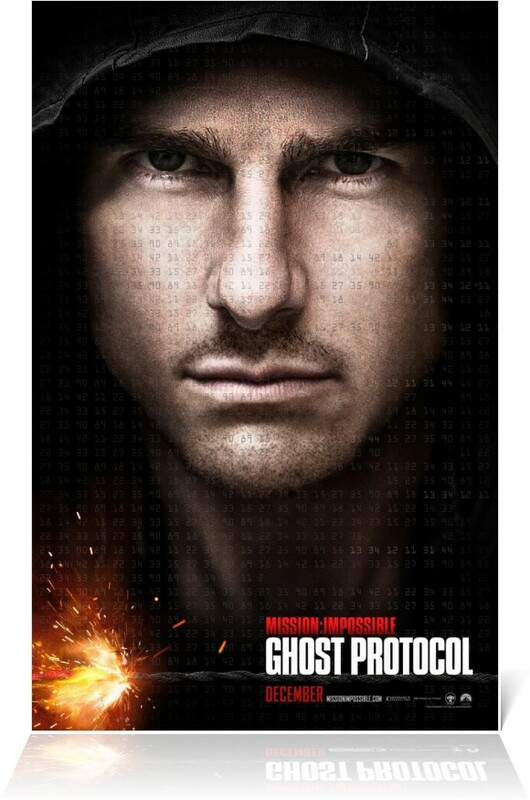 Overall its a really good action movie that tops most movies currently out and defiantly deserves a view at the movies.